The MMCE has been revised and renamed. The MMCE Part 1 is now the QLCE. 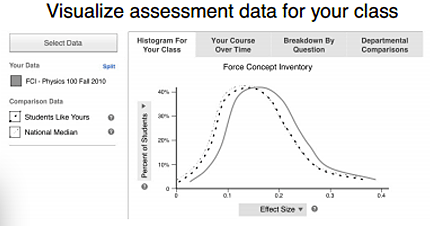 Find the QLCE at https://www.physport.org/assessments/QLCE. The MMCE Part 2 is now the VET. Find the VET at https://www.physport.org/assessments/VET. R. Thornton, Measuring and Improving Student Mathematical Skills for Modeling, presented at the GIREP Conference 2006: Modeling in Physics and Physics Education, Amsterdam, Netherlands, 2006. This is the third highest level of research validation, corresponding to at least 3 of the validation categories below. This test is the second part of a two part test. The first part (formerly the MMCE-I, now the QLCE) measures student understanding of mathematical functions in a modeling context. The second part (formerly the MMCE-II, now the VET) tests conceptual understanding of vectors.